K'naan (Keinaan, meaning traveller in Somali, born 1978) is a Somali-Canadian poet and hip-hop artist. The Coming To America Songfacts states that born in Mogadishu, Somalia, he spent his childhood there during the Somali Civil War, which began in 1991. K'naan's grandfather, Haji Mohammad, was a poet and his aunt, Magool, one of Somalia's most famous singers. The young Somalian acquired an early interest in hip-hop from the records that were sent to him from America by his father. K'naan describes growing up in Somalia amidst the ongoing warfare on his song "Coming To America". At age 13 he left for New York City with his mother and brother and finally settled in the Rexdale neighbourhood of Toronto. In 2001 K'naan performed in Geneva at the 50th anniversary of the United Nations High Commissioner for Refugees. In 2005, he performed with Dobacaracol during the Live 8 concert in Barrie, Ontario. His full-length debut album, The Dusty Foot Philosopher, was released in 2005. His song "Soobax" (pronounced "So-Bah") is now featured in the best selling video game FIFA Football 2006, made by Electronic Arts and he has toured the world with the cup. 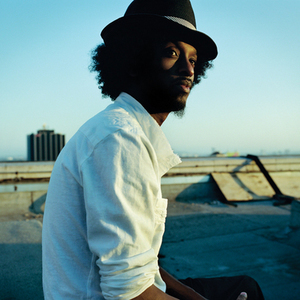 K'naan participated in the Breedlove Odyssey Tour with Mos Def, Talib Kweli, Pharoahe Monch and Jean Grae. He also participated in the "Welcome To Jamrock" tour along with Damian Marley. The Dusty Foot Philosopher received a 2006 Juno Award for Rap Recording of the Year, and was nominated for the inaugural Polaris Music Prize. He also featured in a song by M1, titled "Till We Get There". The song "In the Beginning" from the album The Dusty Foot Philosopher was featured in the 2008 Comedy "Harold and Kumar Escape from Guantanamo Bay"
He also toured with Stephen Marley on Stephen's "Mind Control" tour. His latest album "Troubadour" was released in 2009 featuring guests artists such as Damian Marley, Adam Levine, Kirk Hammett, Mos Def, and Chali 2NA. A remixed version of K'naan's single "Wavin' Flag" was chosen as the Coca-Cola anthem for the 2010 FIFA World Cup in South Africa. K'naan won the 2010 Juno Awards for Canada's Artist of the Year and Songwriter of the Year.